My picture describes a lot of things. Like i have space that separates my text and my photo. There is a margine around my whole picture. My font makes my text pop out and its easy to read.My color is good for the font. And the FX worked good with my text. . 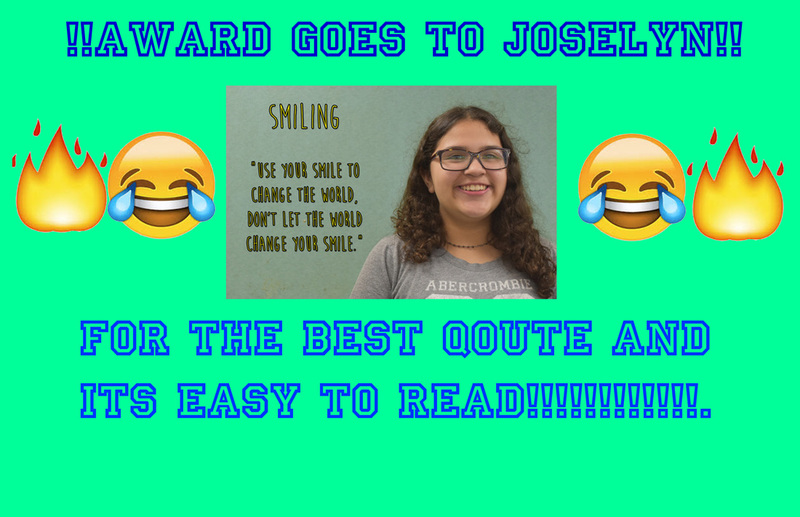 Photoshop award goes to Joselyn!!! She had one of the best qoutes that i liked. She had space between the title and around the picture .